I love traditions, especially at Christmastime. 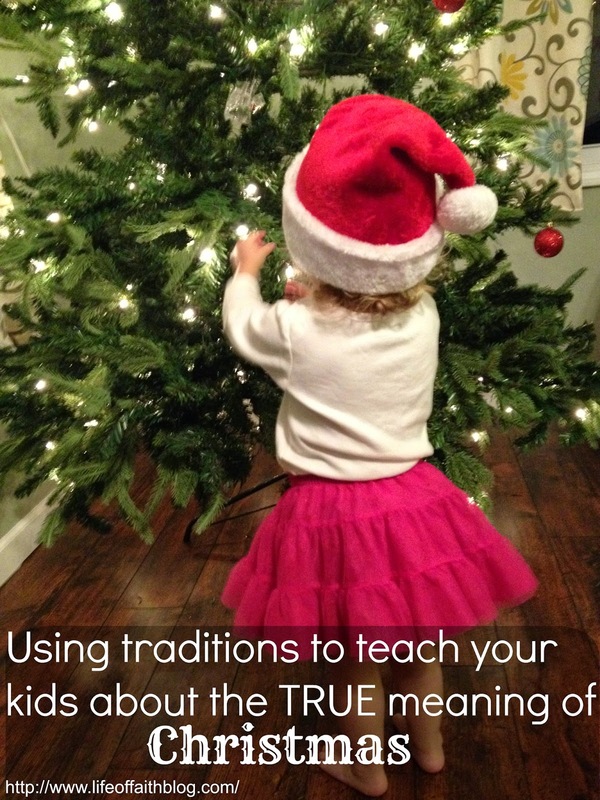 This year, however, I am learning to look at our traditions in a different light as I want to make them meaningful for our two year old. I want everything we do at Christmas to point to Jesus. When asked what we are celebrating at Christmas, I don't want my daughter to have any confusion whatsoever. 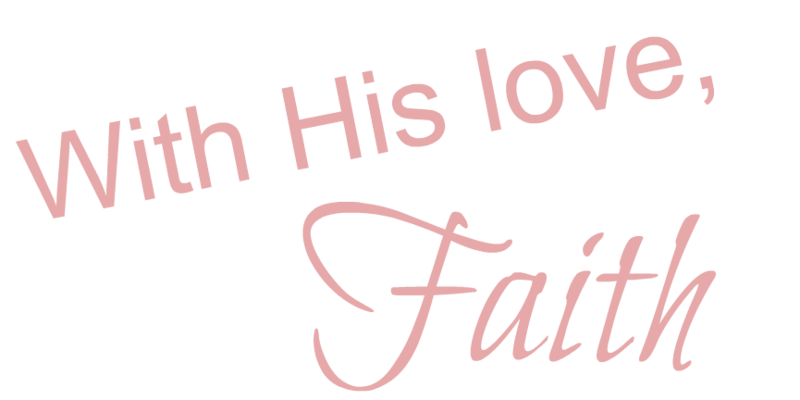 It's all about Jesus. I know that most Christian parents desire the same thing for their kids, so I wanted to share a few of the things we are doing and have already done this Christmas to teach our sweet pea about Jesus' birth. Now I know many of you will laugh at me and think I'm silly for explaining these things to a two year old, but honestly, I don't care! It has amazed me at how much my daughter retains from the "grown up" conversations I've had with her. Nothing warms my heart more than to hear my daughter thanking Jesus for the birds, the clouds, and other beautiful things she sees. She does that all on her own because I've told her that God made all those things for her to enjoy. Amazingly enough, her innocent heart understands that and is grateful to God. I learn so much from her response to what I tell her about God. So here are just a few of the ways we hope to actively teach our daughter about Jesus this Christmas. When we put up our Christmas tree this year, we included a special ornament: a large nail. You see, Christmas isn't just about Jesus' birth, it's also about the reason He came: to die. So we made a special moment out of hanging a nail on our tree and talked to our daughter about how a Christmas tree can remind us of the tree that Jesus paid the ultimate sacrifice on. It was actually a very meaningful moment for me as well. I don't typically associate sorrow with Christmas decorating, but thinking about Jesus death in relation to His birth really sobered me. Christmas books are also a great way to remember Jesus. We have several books about the Christmas story as well as Christmas story books that point towards Jesus. The Tale of Three Trees would be a great book to read to your kids after decorating the Christmas tree! It's all about the trees that were made into Jesus' manger, boat and cross. Lights are a great way to remind our kids that Christ has called us to be the light of the world! We get to shine in the dark world all year long! This year I was also thinking about how when one bulb isn't connected right, yes just one bulb, the whole string often goes dark. What a great analogy for Christians that if we aren't connected to Christ in every way, we can't shine as brightly! Letting a two year old "help" with wrapping presents is a disaster come to find out. It is not a good way to get in the Christmas Spirit, let me assure you! I still allow her to be a part of the gift process and explain to her that we give gifts as a symbol of the ultimate gift we are given at Christmas: Jesus. He gave us his LIFE and that is just mind blowing! We give gifts to honor that amazing gift! One of my favorite parts of Christmas is watching our two-year old tear open gifts and seeing the look on her face when she sees her new doll, crayons, clothes, or whatever it may be. Pure happiness! As she is given her gifts, we want to teach her to be grateful for what she has been blessed with. We have decided not to tell her that her gifts are from Santa. She can play "pretend Santa" and we encourage her to use her imagination, but at the end of the day, we want her to know that everything she has been given is from her Heavenly Father, and we want her thanking Him, not Santa. Those are just a few ways that we plan to use some common Christmas traditions to teach our daughter about Jesus' birth this year! I would love to hear your traditions and how you use them to celebrate Jesus! Just as a disclaimer, I don't think Santa is evil as long as he is adding to the worshiping of Jesus and not distracting from it. My husband and I have chosen to not make him a big part of our Christmas celebration so that we can focus more on what Christmas is really about. Just as I respect those who celebrate Santa, I ask that we be respected for our choice not to. We make a birthday cake for Jesus on Christmas day. It's a pretty special way we remember that it's his day. We are not Santa folks either and it's definitely caused some tension with family members for us...we don't make a big deal out of not doing Santa, but we don't do it, which I guess is enough to offend some people. But hey...gotta stick to your convictions! Yes, I think people respect it when you stick to what you believe is best even when most everyone else is doing something different. It's a rare thing in this world it seems! Keep it up! From day I have always told my kids Santa is not real just for fun but Jesus is real! 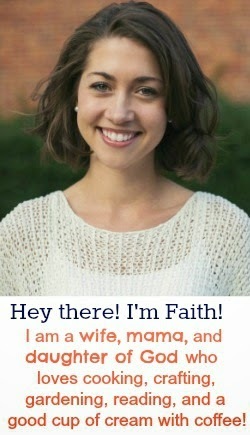 I chose to tell the truth so she would never doubt me and know that there is no doubt Jesus is real. We don't feel they are missing anything. I completely agree Cara! I always want to be honest with her about things...even things like Santa so that she trusts me about the important things!